There are many different benefits to using a portable pressure washer. Most models of portable washers will be gas or diesel powered, however there are also electric powered washers available on the market. Keep in mind if you are considering an electric model that some portability is restricted as you always have to be within cord reach of an electrical outlet. If you are considering an electric portable pressure washer you may wish to invest in buying an inverter, which is a special converter that plugs into your vehicle's cigarette lighter and then converts the electricity to standard voltage for electric motors and devices. Be sure to buy an inverter that produces sufficient voltage to run the portable pressure washer. Remove all loose debris by sweeping the area. While this is not absolutely necessary it will allow the pressurized water to come in contact with the surface and will provide better cleaning on the first pass. For heavily soiled areas always use a pre-soak or treatment with a safe cleaner. Try the cleaner on a small area of the surface to be cleaned to ensure it does not bleach or discolor the surface area. Then mist or spray on and allow to soak as per the instructions on the cleaner. Use only cleaning products approved by the manufacturer of the portable pressure washer. Do not mix your own chemicals as these can be both toxic to people and hazardous to the environment. If you are using the pressure washer near vegetable or flower gardens, fish ponds or compost areas be sure to cover the areas to prevent any spray from the cleaner getting on plants and into water sources. Spray once with warm or cold water to remove all debris, loose dirt and paint chips. Use a sweeping horizontal pattern to ensure that you wash the whole surface area. 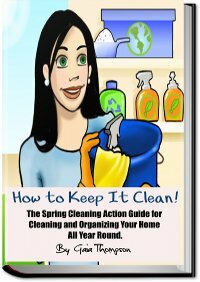 Apply cleaning chemicals to the tank and again use a sweeping or horizontal motion to clean the surface. Do not allow the cleaner to dry on the surface as this can cause streaking of the surface or even damage. Rinse thoroughly using a similar pattern but going the opposite direction. Always completely rinse the area and push all water with residue from the cleaner completely off the surface. If you are planning to paint or resurface the area allow the material to dry for at least 24 hours before painting, staining or treating. In humid or moist climates or if there is rain you may need to extend this drying time. Portable pressure washers provide a lot of freedom and the ability to clean areas far away from the house. They are easy to move and great to work with. For all those chores around the house a portable pressure washer is just the thing.